Cuban aviation authorities ordered the grounding of all Antonov An-158 aircraft in the country over safety fears due to a lack of spare parts. 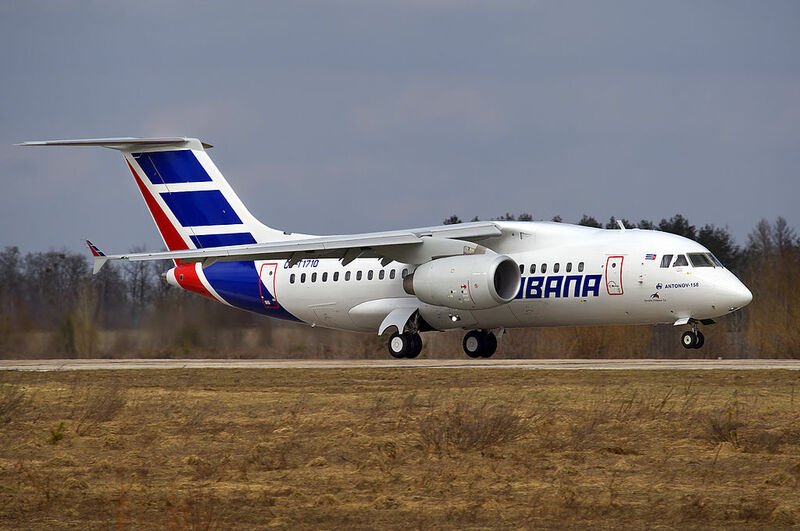 The Instituto de Aeronáutica Civil de Cuba (IACC) issued the order to Cubana de Aviacion to ground its fleet of six An-158 aircraft as of May 3, 2018. IACC cites technical problems with a.o. electrical systems and hydraulics. An example is given of an occurrence in the last three months in which abnormal engine operation temperatures were noted on the Ivchenko-Progress D-436 engine. Cubana received orders by Antonov to ground one specific aircraft, CU-T1716, because of defects in the aircraft’s engines.